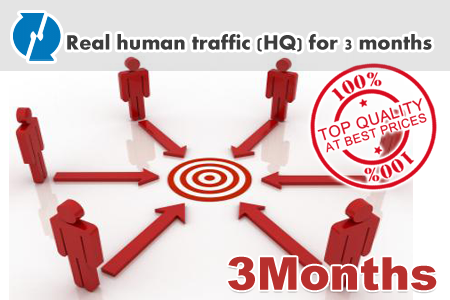 Get hundreds of high quality and real human visitors for your website. This package will give you an organic visitors, about 50 ~ 100 every day and for a 3 months. This is the best quality of worldwide visitors ever. This kind of services will affect your website rating in website raters, such as Alexa and also Google SERP should be boosted a bit due to your website visitors.